At RPPC, we believe that one of our most important ministries is to welcome all people because we believe that God welcomes us all. Baptism is an expression of God’s love and acceptance; in it we are initiated into the life of Christ and joined to the church. Because we know that God’s grace goes before us in our lives, we offer Baptism for all ages. 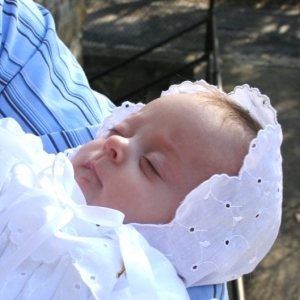 Infant baptism is a sign and reminder that God’s grace is not dependent upon our worthiness. The act of Baptism includes the entire congregation and gives us all a chance to be reminded of God’s love for us and recommit ourselves to live out this love in community and in the world. For this reason, we always celebrate this sacrament as a community gathered at worship. Click here for a Baptism Application and Registration Form.